AFP, BCP, LEP, SB, what do these all mean??? At the start of my OBGYN rotation, it took me 5 minutes to read one note because there were abbreviations for literally everything. It seemed like every other word, I would be looking up a medical abbreviation on google only to be directed by wikipedia to the most obscure law or engineering abbreviations. This frustration brought us to developing our own solution. Medical Abbreviation Booklet – fits in your white coat pocket. It is designed to be simple and easy to use, separated by broad categories to help save you as much time as possible. Some things are great to look up on google, but if you’ve ever tried, medical abbreviations are not its greatest strength. That’s why we created a small medical abbreviation booklet you can keep in your white coat pocket whenever you need to reference it. 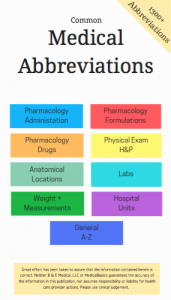 Simple, easy to use, and compact medical abbreviations. 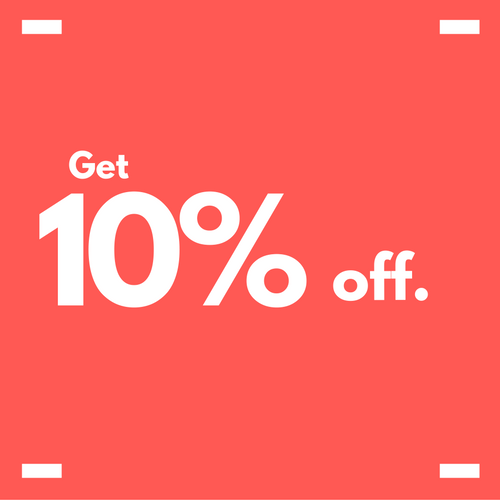 Sign up to get special discounts and updates on all our new products! Download our H&P + Progress template for FREE! Stay organized and present like a pro with our H&P + 4 day SOAP note template, for FREE!